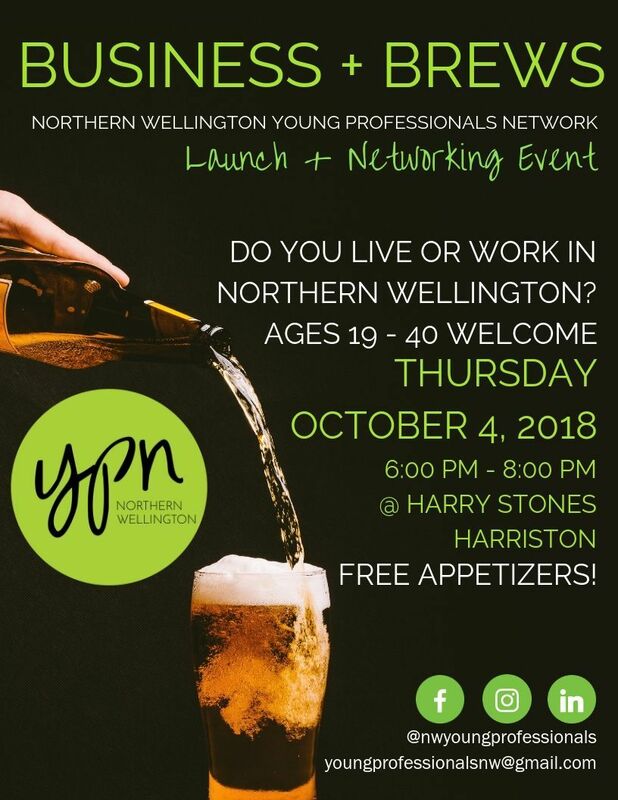 The Northern Wellington Young Professionals Network (NWYPN) is preparing for their official launch and first event on Thursday October 4th, 2018. The Business and Brews event will be an opportunity for young professionals in the area to network and enjoy some beverages and free appetizers from 6:00 PM – 8:00 PM at Harry Stones Social House in Harriston. The Northern Wellington Young Professionals Network will provide bi-monthly networking opportunities, resources and events for young professionals between the ages of 19 - 40 years who live or work in Northern Wellington County. The Network was formed through a partnership with the Minto, Mapleton and Wellington North Chambers of Commerce and municipal Economic Development staff.